“To George, an idea was just a starting point,” says Joel Harnett. “If you gave him an idea, he would come back to you a week later with ten, all of them better than your original, and all of them would be the exact expression of what you intended to say. In essence, he was an innovator, an original thinker.” As vice president in charge of marketing at Look Magazine, Joel Harnett was a long-time associate and friend of Krikorian, and is in an enviable position to speak of his unusual qualities. To others as well, George “Krik” Krikorian was the consummate promotion art director. In their view he actually devised the art of promotion as we know it today. And two positions he held contributed greatly to the enrichment of contemporary graphic art. The first was with The New York Times, the second at Look Magazine. Starting in 1939, his eye-catching Times promotional layouts changed forever the look of the newspaper’s advertising. Soon other papers and other media followed the leader as they adapted and learned from Krikorian’s eye-catching concepts. Look Magazine was blessed with two major talents. As Look’s promotion creative director during the time when Allen Hurlburt was its editorial design director, Look immediately gained a reputation for innovation in every area. The magazine came into its finest days when it was simultaneously winning the lion’s share of design awards and recognition from the business community. Later, after establishing his own company, Krikorian created memorable ads, promotional materials, book designs and graphics for such clients as The Franklin Mint, Viking Press, Tiffany and Company, The Daily News and others. The Times then was but one of seven major dailies serving the New York metropolitan area. It was the leading advertising medium in the country’s largest market, but its promotion was hardly commensurate with the paper’s image as the leader “printing all the news that’s fit to print.” Bold and innovative measures were called for. With the appearance of Krikorian, the Times seemed to take on a new life. His promotional ads attracted more local and national advertisers and convinced ad agency people that it was read not only by men but delivered to women as well. As his work received more media and public attention, it also caught the fancy of the art world, too. His Times commuter posters were exhibited in a one-man show at the Museum of Modern Art and his posters were acquired for the permanent collection of the design department. During this period Krikorian became promotion art director of the expanding Times department. He took a leave of absence from the newspaper during World War II and served overseas with the Office of War Information, setting up publication art departments in Africa, Italy and Greece. He served as Chief of the Art Section, Mediterranean Command, with an O.W.I. rank of Major. One job of which he was especially proud was his design of the library in Athens for the United States Information Agency (now the International Communications Agency). Returning to the Times after the war, Krikorian remained there until 1963 when he joined Look as an art director in the promotion department. When the magazine merged its art and copy sections in 1967, he became its creative director and a member of the promotion department’s executive committee. When Look folded, he formed George Krikorian Associates, a full-service copy, design, planning and consulting company in advertising and promotion for print media. His firm handled a range of assignments, including fashion supplements for the Timesand promotions for the Daily News. He also was the designer of “21, The Life and Times of New York’s Favorite Club,” a book by Marilyn Kaytor. 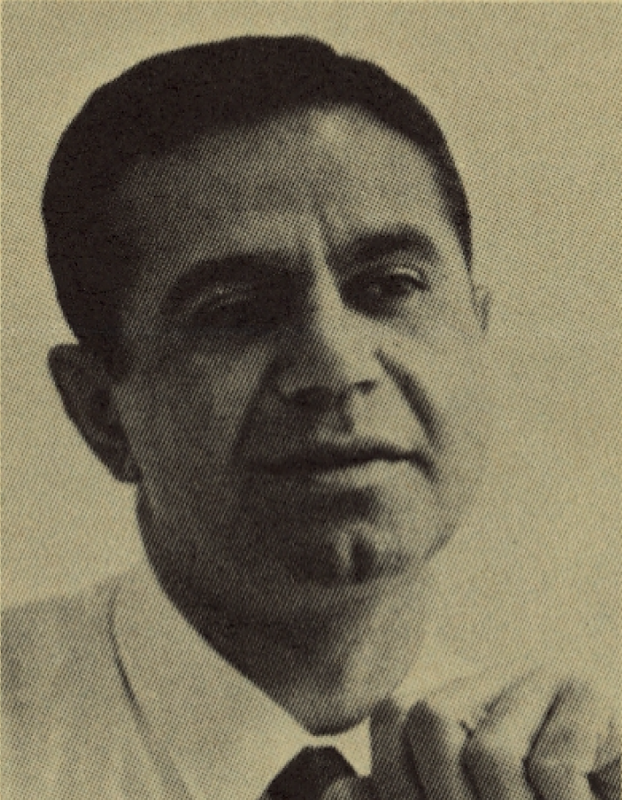 George Krikorian served on the Advisory Board of Pratt Institute as well as on the board of the Art Directors Club. His numerous awards included those from the American Institute of Graphic Arts, the Art Directors Club and the Harvard Advertising Awards. He died in 1977 at the age of 63, neither a modernist nor a traditionalist, but very much his own man.